ACE is the largest and most comprehensive center for household and lifestyle equipment in Indonesia. ACE has also won various achievements including MURI (Indonesian Record Museum) as the largest ACE store in the world, awards from Superbrands, SWA Magazine, Marketing, Forbes Indonesia, IMAC, Top Brand Awards, and so on. 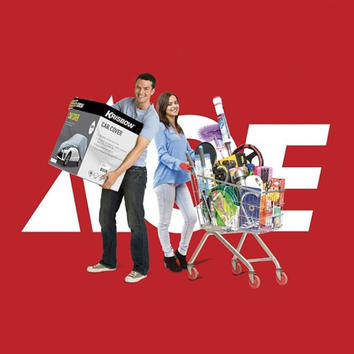 ACE provides more than 85,000 types of products which include tools, kitchen and bathroom equipment, gardening and automotive needs, electrical equipment, paint and room decor collections, bicycles, along with sports products and health shoes, and many more. In addition, ACE has service standards including delivery services with certain requirements for ease of shopping, installation service, membership privilleges, best price guarantee, and 100% satisfaction guarantee. In addition to a complete range of products, ACE is also supported by professional customer service that is always ready to help customers find the solutions they need. As per the slogan, The Helpful Place, ACE provides solutions to household and lifestyle needs. At present, ACE has 112 stores operating in 33 cities in Indonesia, including Jakarta, Bandung, Semarang, Surabaya, Medan, Palembang, Lampung, Samarinda, Makassar, Manado, Denpasar, and many more. For BSD and surrounding residents, they will immediately feel the easy and comfortable shopping sensation with the presence of ACE at AEON Mall, located on Floor 3-01 at the end of May 2015. Welcome to a modern lifestyle full of convenience and comfort with ACE. Happy shopping!